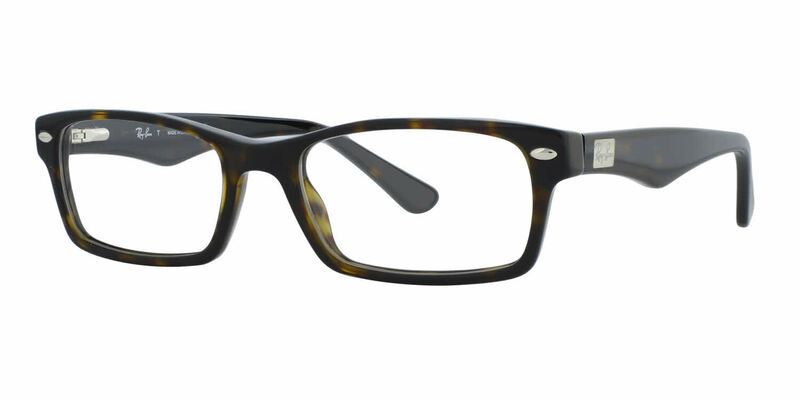 Ray-Ban RX5206 Eyeglasses are a very adaptable pair of frames that can accompany a suit just as well as a pair of shorts. Trendy enough to be modern but based on classic Ray-Ban styling. A cool and versatile choice for Men or Women. Come in a range of colors so you can create an individualistic look. 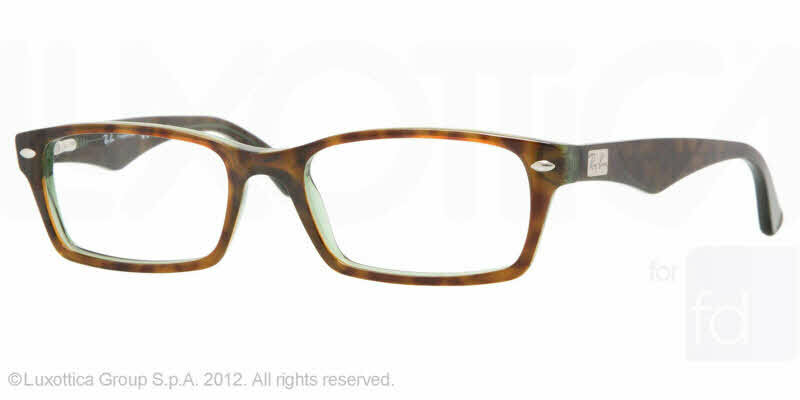 Great for the more conservative fashion adventurer since the fun accent color/pattern pops from the inside of the frame. Unique exaggerated shark fin shape to temple, widest in the middle. These glasses are super comfy and fit my face really nicely. I ordered the larger size as I have a bigger head and I love the way it sits. I recently purchased prior to vacation, prescription was correct, customer service was excellent, plus I saved a lot when compared to local optometrist office. Thanks for great service!!! It took me a few days to adapt my eyes to my new glasses with the new prescription (as always does), but now it fits perfectly. I already own a pair I bought over a year ago. This purchase was for my son since he wanted a pair also. Quality was wonderful and price excellent. Love the prompt attention and delivery of the order and personalized emails. Thank you guys. This RayBan frame is listed as a men's frame, but I would consider it unisex. It is not too big and fits my face well. As a woman, I was unsure how they would fit, but I was pleasantly surprised. I would recommend this frame.